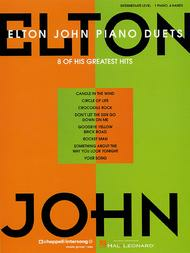 By Elton John. Piano Duet. Pop. 64 pages. Published by Hal Leonard (HL.290502). July 14, 2008 Cute songs! Easy to learn and fun to play! 26 of 47 people found this review helpful.